This takes place in the world of Kaladar! 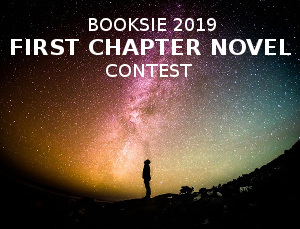 It is completely unrelated to my work in Progress book and is just a fun way of world-building and getting back into the groove of writing short stories!!! The sirens were ringing and we panicked. “The sirens aren’t supposed to go off yet,” Jane hissed, sounding absolutely terrified. “Should we abort?” Michael asked. I just shook my head in wonder at these fools. Frosting greenhorns I thought. 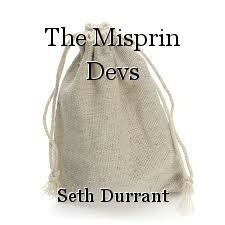 “Guys, we’re the Misprin Devs, we don’t pull out when a little mishap occurs. Nah, we do a little thing called improvisation.” I shoved my way through the vent the three of us were crammed into. Sweat was slicked up and down my arms, it had been a hot summer. It also didn’t help that I was hefting a crossbow. I reached the end of the vent and slammed my way out. There were sure to be people waiting, but I knew I could improv… Or just fight it out, but the Dev’s didn’t like it when things got too messy. Jane and Michael followed, and I swear I could hear them shaking in their boots. “Will you two relax back there, your shaking will blow this whole frosting operation!” I hissed while I looked around the still dark and empty room. Considering that the sirens were still ringing made me guess that Eli had distracted the guards somehow to get them off our backs. That sure made our job easier. “Alright, load up the bags you two. Grab as much gold as you can find, dang this is a big haul.” We were raiding the mansion of a wealthy Senator in Milth, he had a heavily fortified house that even had a security system from Celestina, as evident from the still ringing sirens. After installing it and adding a whole new host of guards he had publicly declared that his house was break-in proof. We Devs just love proving people wrong. The sad thing was that his vault hadn’t even been that well guarded. “Will you hurry up you two!” I said, breathing down the necks of the two greenhorns I had brought with me. Uhhg, I hope I wasn’t this useless when I was recruited. Breathing down my mild frustration, I aimed my crossbow at the only entrance to the room besides the air vent. An iron vault door. “Is this enough?” Michael asked, showing me three stuff bags sitting next to Jane’s two. It was probably enough, but we wanted this guy to sting. “Yeah, but look for something extra special. You know something extra hidden that this guy really doesn’t want to lose. Got it?” Michael and Jane nodded and began nervously searching the pile of gold and trinkets in the room. “You know if we’re lucky we might find this guys starstone, I heard he had a fair bit a few months ago, let’s just hope he held on to it. Ooh the Devs are gonna be happy with this round!” I couldn’t contain my excitement. We stayed looting for a few more minutes while I watched the door. “I found a bag of Starstone!” Jane said, sounding mildly excited. She hurried over to me and showed me the bag. It fit inside of my palm with room to spare and was exceedingly light. I took a peek in the bag and found five small nuggets of the metal. It didn’t look like much, but Starstone was extremely valuable. This much could fund the gang for the next ten years, easy. “Alright, let’s head out, grab those bags and we can head back through the vents!” I said, pocketing the Starstone and grabbing one of the bags of look, shifted my crossbow to one hand. I ran up the the vent and got a boost from Micheal who then boosted Jane. Michael handed us his two bags and we pulled him up. After we all gathered our stuff together we bagan awkwardly half crawling through the air vent, this time even more confined due to the larger load we carried. We made it out of the vents and into the cold night air of the yard uneventfully, somehow. The sirens were still ringing, but no one was around. I was starting to worry about what Eli had done, but nothing was on fire so that seemed like a good sign. “Alright, looks clear, let’s go, over that hedge there and under the gate again.” I pointed to a relatively low hedge that was in the shadow of the moansion. Both of the moons were out and bright tonight. We started running to the hedge, slowed significantly from all the loot we had taken. Jane was the weak link, we kept having to wait for her to catch up. “Here,” I said, shoving my crossbow into her spindly arms and grabbing both the bags she was carrying. We started moving much faster after that. We finally reached the fence and started sliding under it. A recent hurricane had swept away a lot of the dirt under the metal framed fence making it easy to slide under. A few painfully slow minutes later and we were on the other side, seemingly home free. “Something feels off. Missions never go that smoothly, it was like the guards had instructions not to find us.” great now I was worried like the frosting greenhorns. “Just run, we need to get out of here fast, whatever Eli did to distract the guards must have been ridiculous.” I pointed ahead to a small trail through the forest back to headquarters. Michael ran full pelt, his fear finally having gotten the better of him. At least he held onto the bags. “There!” a voice yelled through the night, several lanterns were unclasped and we were surrounded. “Drop the bags and run!” I yelled, dropping the three I was carrying and sprinting, madly trying to catch up to Michael. The guards had prepped a trap for us, luckily it didn’t look like that had much in the way of ranged weapons other than a few ‘too big for good throwing’ spears. Michael would definitely get away, frosts he had hung onto one of his bags. It looked like I was going to narrowly make it, there were three guards chasing me to my left, trying to cut me off to the trail. I had just enough of a lead to make it. A huge grin spread across my face, it sucked to lose all the bags but we had just gotten away with all that guys Starstone. Then Jane screamed. I whirled around and saw that she had tripped on a root way behind and guards had begun closing in. “Dammit Jane!” I yelled, cursing out her and myself as I turned and ran back towards her. She had dropped the crossbow and one of the guards had picked it up. He aimed it at me and fired. A searing hot pain flashed through my right calf. It felt like Mother Talfor herself had clawed her way up my leg. I fell to the ground and yelled an expletive as the guards swarmed me and began beating me with the blunt of their weapons. In all my years working for the Devs, I had never had a mission go this poorly. Where the frosts is Eli! I thought, cursing him out just for good measure. The guards had finally stopped beating me. I had bruises all over my body and my left eye was swollen shut. At least the beating had numbed the pain in my leg. The other guards came over to me, they had Jane cuffed, but other than a few cuts she seemed fine. There were eight guards in total, and it didn’t look like we were getting help anytime soon. “What do ya reckon we should do with these fella’s!” one of the guards asked in a nasally voice. “You should swallow that huge ball of snot in the back of your frosting throat!” I yelled before immediately reciving another three blows. The guard I had mocked squatted down in front of me. “So ya don’t like my voice do ya! I don’t think we’re taking prisoners today, bad luck for you!” He howled with laughter. His howl was cut short by a scream of pain and the sound of a body hitting the ground. What I saw next was perhaps the prettiest sight I had seen in my entire life. Jane had knocked one of the guards holding her out cold. She aimed a hard kick at the other mans groin and then ninja kicked the spear out of a thirds hand before punching him in the stomach, grabbing the back of his head, and shoving it into her knee. Blood spewed everywhere from the mans nose and he collapsed onto the ground. She faced the other five in a ready stance, her hair all over the place. Then she attacked, running forward for two steps before sliding into the ground and somehow bending a kick to the back of ones then punching his groin. She sure liked to play dirty. She grabbed the mans side knife and chucked it haphazardly at another of the guards. It stuck into his leg and he fell to the ground howling. Three left, including nasally voice. She flashed a grin at the three spear weilding men before somersaulting over to one and headbutting him. He must have been as surprised as I was since he didn’t even raise his spear. “Frosts thats a hard head!” Jane screeched , raising one hand to rub her forehead. She picked up the mans spear and dodged a thrust from one of the two remaining guards. She knocked the spear out of his hand and stabbed him in the foot. Now it was just Jane and nasally voice. “You know, I agree with Mack here, you should swallow that ball of snot in your throat.” In that moment I loved Jane more than anyone else. Then she jumped at nasal throat, dodged a clumsy spear thrust, and kicked him in the groin, hard. He screamed and fell to the ground, clutching his pants and rolling around. Jane went around to the men she dispatched and hit them all on the head with the blunt end of a spear, knocking them all out cold. She then came over to me and tried to help me up. “Frosts woman, that was amazing but your going to kill me if you keep pulling like that!” I squealed as pain shot up and down my leg. All the other hits I had taken felt mroe like a dull ache comapred to the leg. “Sure,” she waid sarcastically before quickly pushing the arrow through my leg. I screamed, terrified more guards would be over to us any minute now. She wrapped my now bleeding leg and helped me to my feet. By help I meant she was practically carrying me. We slowly, very slowly stumbled to the trees. I was pretty confident we would get away. “Oh shut up old man,” she replied. She wasn’t able to hide the grin on her face. “Where did you learn those moves, seriously?” I asked, trying to appear as incredulous as possible. “What you think the Devs just send us out on missions when we know nothing? You really are a stupid old man, you know that.” I coughed out a laugh and instantly regretted it. My body felt like a volcano, it had just erupted with pain. “He saw you? What a coward,” I couldn’t believe it. “A frosting coward!” Jane agreed as she half carried me through the forest to the Devs hideout. I love the how they have their own swear word! There were a few grammar and spelling errors, but I'm accepting this into the magazine, anyway.